A draft order released yesterday makes no mention of a broader net metering review, however. As the backlash continues to mount against recent changes to Nevada’s net metering program, the Public Utility Commission of Nevada released a draft order on Wednesday evening stating that it will review the issue of “grandfathering” existing solar customers into the new policy. On December 22, the PUC voted to increase the fixed charge for NV Energy customers who own rooftop solar from $12.75 per month to $38.51 per month in phased increases over the next four years. Over the same period, the credit solar customers receive for net excess energy they send back to the grid will fall from the retail electricity rate of 11 cents per kilowatt-hour to 2.6 cents per-kilowatt hour. The changes came into effect on January 1, and were upheld by the PUC on January 13. 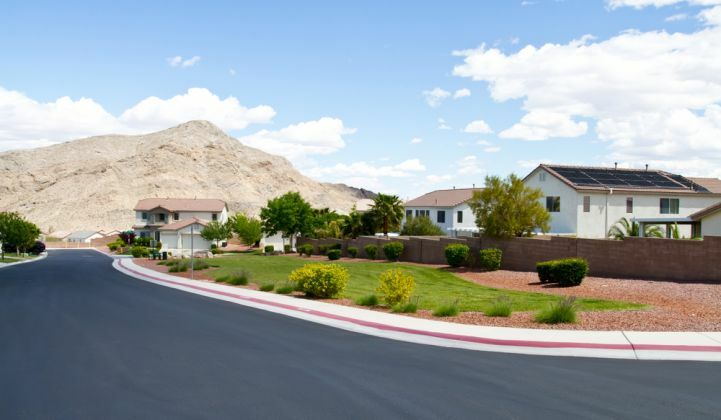 One of the most controversial aspects of the decision is that the net metering policy applies to the 17,000 existing solar customers in Nevada, along with any new customers. Solar owners in the state have expressed worry and anger with the PUC. Within the next two years, most -- if not all -- solar customers will see their monthly savings erased by the new tariff. A group of solar owners launched a class action lawsuit against NV Energy last week, accusing the utility of “deceptive and unfair practices” that led to the unpopular policy change. The commission’s draft order released yesterday heeds a request from the Nevada Bureau of Consumer Protection (BCP) to re-evaluate the grandfathering provision. The BCP noted in its testimony that existing solar customers ought to be grandfathered in to the new policy for a period of eight to 10 years "at least." According to PUC staff, the eight- to 10-year provision would result in a $128 million to $160 million subsidy for solar customers at the expense of non-solar customers. The commission maintains there is inadequate evidence to justify a grandfathering program, but invited stakeholders to file additional testimony in support of the policy. The deadline for filing new information is February 1, and a hearing is scheduled on February 8. Nevada solar customers are likely to cheer the PUC’s decision; however, the draft order only calls for a rehearing on grandfathering, which implies that the new net-metering tariff will still be in effect for new customers. Solar companies say the new policy effectively kills Nevada’s rooftop solar market. Several companies have already been forced to shut down operations there. SolarCity, the largest solar installer in the state, was forced to close all operations, laying off 550 workers and shuttering a new training center. “There are no jobs to train at the center for,” said Chandler Sherman, public affairs manager for SolarCity. Governor Brian Sandoval announced earlier this month that he is deploying a rapid response team to help unemployed solar workers find new jobs. Sandoval issued a frustrated statement noting that SolarCity CEO Lyndon Rive informed him of the job cuts on Christmas Eve, and then did not return the governor’s call. “My suggestion is that Mr. Rive respect the process and pursue his legal options, which include seeking reconsideration of the order or ultimately judicial review,” said Sandoval. As the grandfathering provision heads toward a rehearing, solar companies will have to decide on how they will address the policy change for new customers.